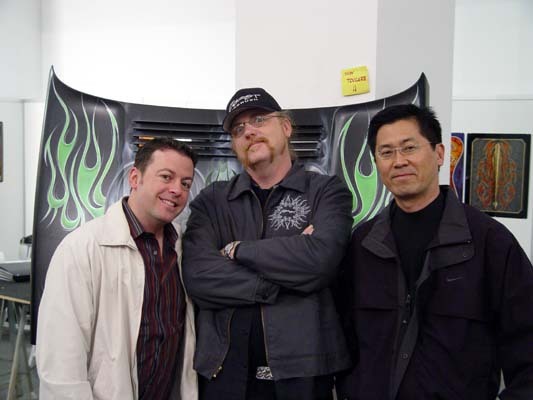 Gary Glass, Craig Fraser, and Will Naemura hanging at the show. Gary, and Will were representing Iwata, and Medea for the show. .
Hey, we couldnt let Paulo, and Fulvio have all the fun with the bodypainting. Everybody say hello to Luiza. All good kustom painting requires a team effort between artists, Nobody is allowed to hog too much of the canvas at any one time,...hehehh. 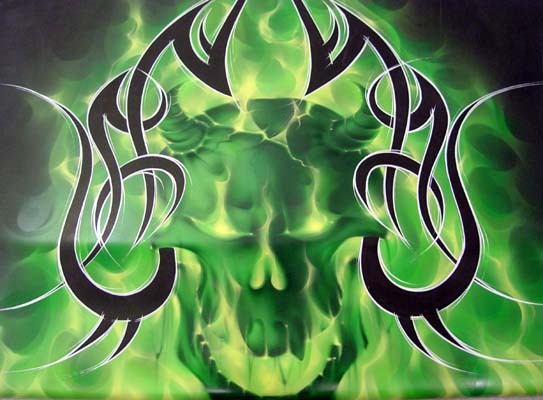 After the nice break from paitning on the jeep, lets take a look at the finished hood mural with Steve's pinstriping.